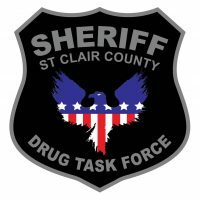 The St. Clair County Drug Task Force is announcing the arrest of a suspected area drug dealer. On January 3rd, D.T.F. agents conducted an investigation into methamphetamine and heroin sales in the local area, which lead them to the Days Inn located in the 2900 block of Pine Grove Avenue in Port Huron. The suspect, a 42 year old Port Huron man, was spotted inside his motel room and then started running, with D.T.F. agents chasing him on foot. He was arrested a short time later, with authorities confiscating quantities of crystal meth and heroin that he discarded as he ran. A subsequent search of the suspect’s motel room found a small amount of crystal methamphetamine. He is currently lodged at the St. Clair County jail and is expected to face charges including possession with intent to distribute crystal meth, heroin, and resisting and obstructing police.